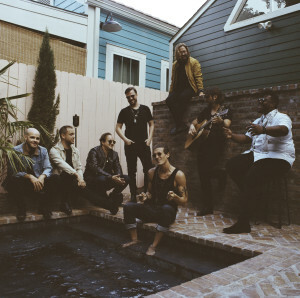 Austin City Limits is elated to announce the first tapings of our new Season 45: rising country star Kane Brown on March 3, Austin’s favorite son, Gary Clark Jr., on March 5, New Orleans rock band The Revivalists on April 9 and North Carolina alternative rockers Rainbow Kitten Surprise on May 6. 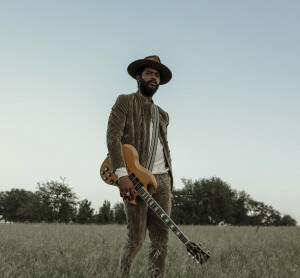 Grammy Award-winning Gary Clark Jr. hits the ACL stage for his third headliner show, on the heels of the release of his highly-anticipated This Land, his third studio album for Warner Bros. Records, out February 22. The charged songs on This Land offer a rich window into the afro-cosmic musical soul of Clark, with themes that reflect introspective intimacy and unapologetic cultural consciousness. The sonic canvas of his rhythms, beats, melodies and ever-present guitar virtuosity on this album are his most ambitious work to date. Rarely has an artist alchemized the sounds of the great African-American music forms into one genre-defying statement of unique power, craft and social significance, as Clark has done. As Clark himself puts it: “This album was meant to sound like D’Angelo, Parliament Funkadelic and Cream. Someone asked me why I made such an expansive album. I said, if I didn’t get it out of me, I was going to explode. It’s all just soul music.” In a relatively short period of time, Clark has made an indelible mark for himself in the music world. 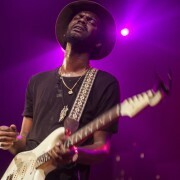 He has been called “the chosen one” by Rolling Stone, and “the future of music” by President Barack Obama. Clark is a rare artist, a genre-bender who transcends sound, style, race, gender, and age; his prowess has been witnessed on the world stage from Bonnaroo to Jay-Z’s Made In America, to Coachella, to the Roots Picnic, to Glastonbury, and many more. We’re thrilled to welcome this hometown hero back to the ACL stage. 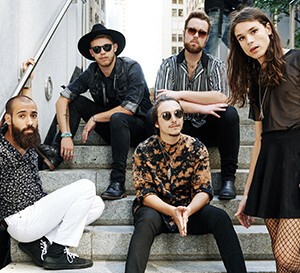 Nearly every song from ACL first-timers Rainbow Kitten Surprise unfolds in a dizzying rush of feverish yet finespun lyrics that feel both intimate and mythic. Throughout their third album How To: Friend, Love, Freefall, the Boone, North Carolina five-piece sets those lyrics to a thrillingly unpredictable sound that transcends all genre convention, endlessly changing form to accommodate shifts in mood and spirit. But while Rainbow Kitten Surprise push into some complex emotional terrain, the band’s joyful vitality ultimately makes for an album that’s deeply cathartic and undeniably life-affirming. Produced by Grammy Award-winner Jay Joyce and recorded in Nashville, How To: Friend, Love, Freefall marks Rainbow Kitten Surprise’s debut release for Elektra Records. In creating the album, the band immersed themselves in a deliberate sonic exploration, infusing their music with the kinetic energy of discovery. In sculpting the inventive arrangements and textures, Rainbow Kitten Surprise embedded each track with indelible melody and chilling harmonies with a long-lingering power. The quintet moves gracefully through infinite sounds and tones: the energetic R&B of “Fever Pitch,” the haunting a cappella harmonies of “Pacific Love,” the full-throttle frenzy of “Matchbox,” the tender psychedelia of “Moody Orange,” the tumbling folk of “Painkillers.” In working through such a kaleidoscopic sonic palette, Rainbow Kitten Surprise show the sharp musicianship and powerful camaraderie they’ve developed since forming at Appalachian State University in 2013. It wasn’t long before they’d gained a devoted following – amassing over a million streams on each song from their self-released catalog – and word spread about their unforgettable live show: a blissed-out free-for-all that typically finds frontman Sam Melo jumping right into the audience, building an unbreakable connection with the crowd, as delivered during stand-out sets at major festivals like Bonnaroo, Firefly, Sasquatch, and Austin City Limits. Want to be part of our audience? We will post information on how to get free passes about a week before each taping. Follow us on Facebook and Twitter for notice of postings. The broadcast episodes will air on PBS later this year as part of ACL’s upcoming milestone Season 45.